Staff and students from the Emory Center for Digital Scholarship (ECDS) will be heading to Canada in June to teach and learn at the Digital Humanities Summer Institute (DHSI), an annual gathering of university faculty, staff, students, and scholars about trends in technology, teaching, and academic research hosted by the University of Victoria. ECDS Training Specialist and Special Projects Liaison Anandi Knuppel will co-teach the week-long Digital Publishing in the Humanities course alongside former ECDS staff member Sarah Melton, head of digital scholarship at Boston College. Building on last year’s short workshop, the course will provide participants with an introduction to various platforms used for innovative multimodal publishing projects; project management workflows used in digital publishing; and sometimes-overlooked project aspects including intellectual property issues, sustainability, and creating funding proposals for nontraditional publishing projects. Last year, ECDS sponsored three graduate students in its internship program to attend DHSI, supported by an ECDS course scholarship and the Laney Graduate School’s professional development funds. Here they share conference highlights and its application to their work. Traveling to DHSI might have been the highlight of my summer. 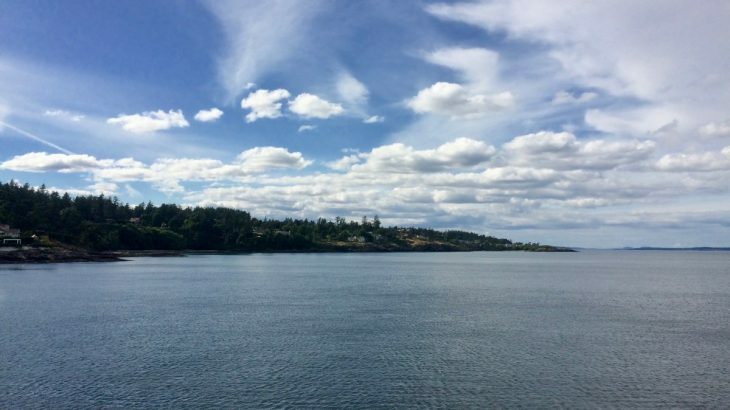 Cool winds, rocky coasts, and Canadian hospitality made Victoria a welcome respite from the Atlanta summer. Taking the airport shuttle up the coast to arrive on UVic’s campus, I made my week’s home in a neat and trim dorm room. Coming from sociology, I was a little unsure about the digital humanities. As soon as you test humanistic questions with data, isn’t that called ‘sociology’? While this question offers ongoing debate, the opening ceremonies gave me the immediate sense of a vibrant scholarly community. My course, “Understanding Topic Modeling,” provided an introduction to this statistical method for examining text corpora, and countless others offered instruction for graphing, visualization, multimedia presentations, and professionalization… I came away with a handful of helpful materials and a mostly-finished analysis of my dataset. After exploring topic modeling in the following months, I built my dissertation around this methodology and defended the proposal at the end of the summer. The things I learned have direct import for a handful of ECDS projects and this type of analysis would be a popular addition to our lineup of workshops. I attended the DHSI course, “Open Access and Open Social Scholarship,” with Alyssa Arbuckle. The entire DHSI experience — the course, workshops, networking opportunities, and group outings — was incredibly exciting. What I learned through the course and through discussions with DHSI attendees gave me exactly what I’d been hoping for: A much stronger, more immediate sense of where the field of open access digital publishing is today, outside the realm of Southern Spaces and the walls of ECDS. The knowledge and experience I’ve brought back to the team will help the journal remain on the cutting edge of digital publishing and digital scholarship. By meeting, sharing feedback, and brainstorming with key figures (Peter Suber!) of our field, open access publishing in the humanities, I was able to spread word of the work we’re doing at Southern Spaces and learn about other models, platforms, and digital publishing groups we hadn’t yet been aware of. Making these connections could be vital to ensuring the long-term health and continuing growth of the journal. I took the course, “Text Processing: Techniques and Traditions,” taught by John Maxwell. We learned programs and coding strategies for managing text efficiently, while developing a historical understanding of the visual presentation of text across time. In addition to the lectures, we had the opportunity to workshop projects with other digital humanists passionate about digital scholarship. At ECDS, I’m involved with the Emory Women Writers Resource Project, and I have already seen benefits from the class as we develop new ways to visually present early digital texts from the 1990s. I highly recommend DHSI to anyone who wants to learn more about digital scholarship methods and practices in a supportive and instructive environment.